If you've never been able to make quick, good vegan pancakes, fear not—these tiny muffins started out as the perfect pancake batter. Only, instead of spilling dollops of batter onto a griddle, I spilled them into a muffin tin, layered them with cinna-sugar, and baked for only a few minutes. I whipped these up early this morning for a fast treat and shot them as I assembled before serving. 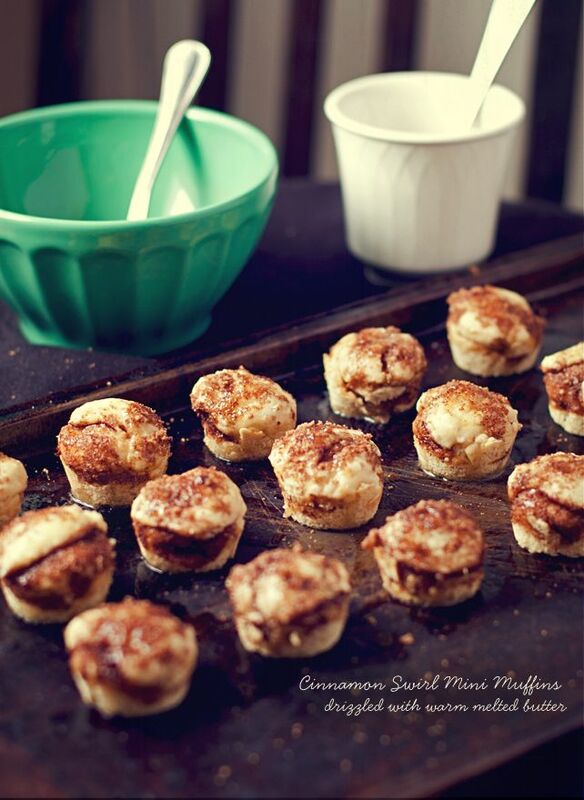 You can use the batter to make the bite-sized breakfast treats in the recipe below, or cook buttermilk pancakes and sprinkle them with the cinna-sugar before serving. For an extra-killer topping, mix the melted Earth Balance with warm maple syrup before drizzling! these little muffins look so delicious!